There’s no getting away from the fact that we live in an age of data. 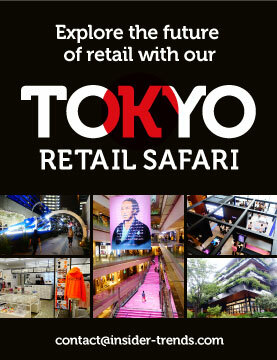 It’s changing every part of our lives, including retail strategy. Want to know where to open a store next? Data can help. Want to understand why a certain store is doing well and another isn’t? Data can help. Location intelligence specialists Geoblink are firm believers in the power of data to help retailers make better decisions whether that’s around opening new stores or optimising their existing portfolio. Can you describe what Geoblink does in a nutshell? Geoblink is the Location Intelligence start-up. We help retailers, real estate and FMCG companies to make the best possible location decisions using geospatial data. This includes defining a data-driven strategy for their different use cases like expansion, optimisation of the network or portfolio management. Our clients include the likes of Anytime Fitness, Papa John’s, Carglass, PureGym, Basic Fit and Poundland. We have many data indicators from different public and private sources, such as polling data from the Office for National Statistics, for example. We also create our own internal data indicators like the footfall metric. We apply our technology to generate insights using predictive modelling and Artificial Intelligence techniques from that data to make the data relevant. How do you gather your footfall data? We use a lot of GPS data looking at the behaviour of millions of people. We then cross that with additional data sources and a lot of calibration to tell footfall trends overtime. It’s actually quite precise. We can tell the specific number of people on average that pass by any part of a particular street in any location in the country. Are there any specific retail projects you can tell us about? 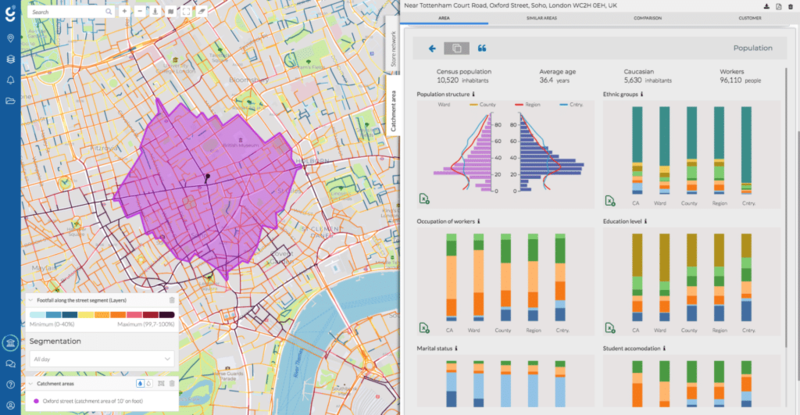 We worked with Papa John’s Pizza to help them identify potential locations for expansion, as well as to work out the sales estimates for these spaces through the deep analysis of socio-economic data. We also helped them to optimise their marketing campaigns towards a target audience. Another client of ours is Anytime Fitness. We have helped them to double the number of spaces they have in Madrid in a matter of months. By using our tool, they were able to understand the expectations of their target customers within certain locations, and to engage with franchisees to understand their local area. Knowing the demographic characteristics of the areas with the best performing clubs also allows Anytime Fitness to reuse this information when searching for premises for new locations. 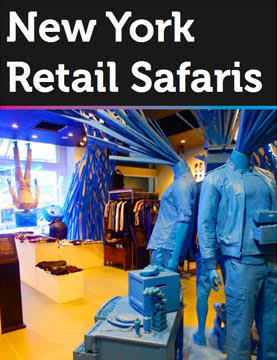 What are the biggest insights that your platform has produced for retail clients? We believe that using data to define your strategy is not a nice to have any more but essential for your business. If you don’t do it your competitors are doing it. It’s going to be way more important in the near future. When you look at the traditional brick-and-mortar space, retailers are not so familiar with using data. There’s a lot of gut feeling and their own ideas of how things work. Then they’re having a hard time explaining why something is not working. With our platform, we show them why that is using data. 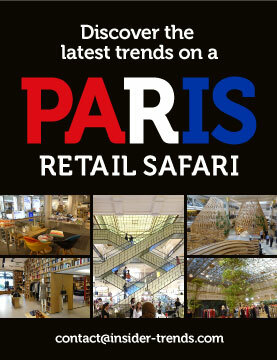 Often, they want to analyse a specific location, such as a store that is not performing well. With data, they suddenly realise that the footfall traffic is very low for the location or the consumers visiting that location are not their target profile. Or it could even be that the size of the store or the product mix aren’t right. There’s a correlation between the data and what’s happening around a location and the performance of a space within that particular market context. On the other side of the coin, when it comes to expansion strategy, there may be areas with high potential that you’re not exploring. If you’re trying to find the right location for a store, where there’s a high concentration of the target population for example, you can use data to optimise that decision. Or if you have a multichannel strategy, perhaps you need to focus your geomarketing efforts to capture clients and take them to your online channel. How do you pinpoint what the issue is in a certain underperforming location? We have lots of data around location, so we know how people spend money in the area, what’s the demand of the area, how the people behave, where they are coming from, etc. We also look at the historical data from the client to identify what drivers are defining their success. We can tell from the data which things are positive or negative for their business. When we talk about optimising the network, one of the things that we do for our clients is help them identify the different types of stores that they have. It’s not only about the location, the consumers, their behaviour and what’s happening around the area. It’s also taking into account how big the store is, what’s the set-up of the space, what are the products, what are the marketing campaigns, etc. By taking those business insights and the location insights and crossing them, you are in a much better position to tell what the drivers of your success are. Then you can make decisions on how to optimise that. How do your geomarketing services link in with this? We help our clients to first define who their target customer is. Most of the time we start by uploading their anonymised client data into our system and geolocalising it. Then we enhance it with location data to get more insight. Once that is clear they can do more tactical actions, for example, identifying areas with a high concentration of specific consumers to set their marketing campaigns around. If you’re targeting a specific population in a city centre and you want to run some advertising, and if you know where those target consumers are and the streets they pass by, then you can target those adverts and reduce costs by being more efficient. When you go to the online it’s similar. We help clients improve their targeting by identifying the areas with a high concentration of their consumers. Do you have any thoughts on how privacy concerns are going to affect businesses that rely on data to make decisions? The reality is that every day there is more data available, not less data. What is important, and I think legislation is going in that direction, is that people can control their data and make the decision about whether this is available to third parties or not. We don’t use any personal data. All the data that we use is anonymised. We can use it to generate an insight about the profiles of people in an area, but we can never track one specific person. Have you any thoughts on how store networks and formats will be different 10 years from now? Experience is important. Creating the same kind of store for any location isn’t going to work anymore. The first step is to use data to truly understand what’s the best experience that you can build for a specific location. In a sense data is actually defining the format and the type of physical spaces that you’re going to build. That’s a big shift because it’s not just expanding for the sake of expanding. It’s more about understanding the location and the customer. There’s a combination of using data to define the experience and using technology to enhance that experience. A few years back it was looking like brick and mortar was going to die. But the reality is that ecommerce players like Amazon, Warby Parker and Bonobos are actually going offline. The big difference there is that they are so used to using data. They’re thinking differently. They want to customise and create the best possible experience for the consumer. What is coming next for Geoblink in terms of its functionality? Our goal as a company is to solve specific problems for retailers, real estate and FMCG companies. Data happens to be part of that solution. One of the things that we want to do is move from purely descriptive analytics, explaining what’s happening inside of an area, towards more predictive analytics, telling clients what the best actions for their business are using data. A great example of how our Location Intelligence platform is moving towards predictive analytics is our new “Sales Forecast” feature which we launched in November 2018. This feature allows retailers to obtain an instant monetary prediction (in £) of a retail site being evaluated for expansion. With “Sales Forecast”, retailers are able to tell how much money a new store will generate before even opening there. By forecasting scenarios in the future, our clients can try to understand what will happen before they make a decision, and it is this kind of knowledge that is going to completely change the way retailers run their businesses. At the end of the day, it’s going to be the same person making the decision. However, instead of using gut feeling and putting tonnes of hours into trying to understand something and getting just a partial view of the solution, we want to make it easy by having all the tools to make that decision within our platform. 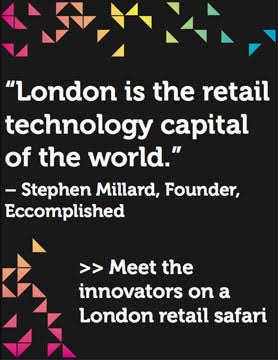 The world of retail is changing too fast for you to wait around. 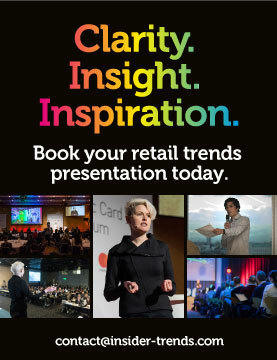 Be ready for what comes next by booking a future of retail presentation.